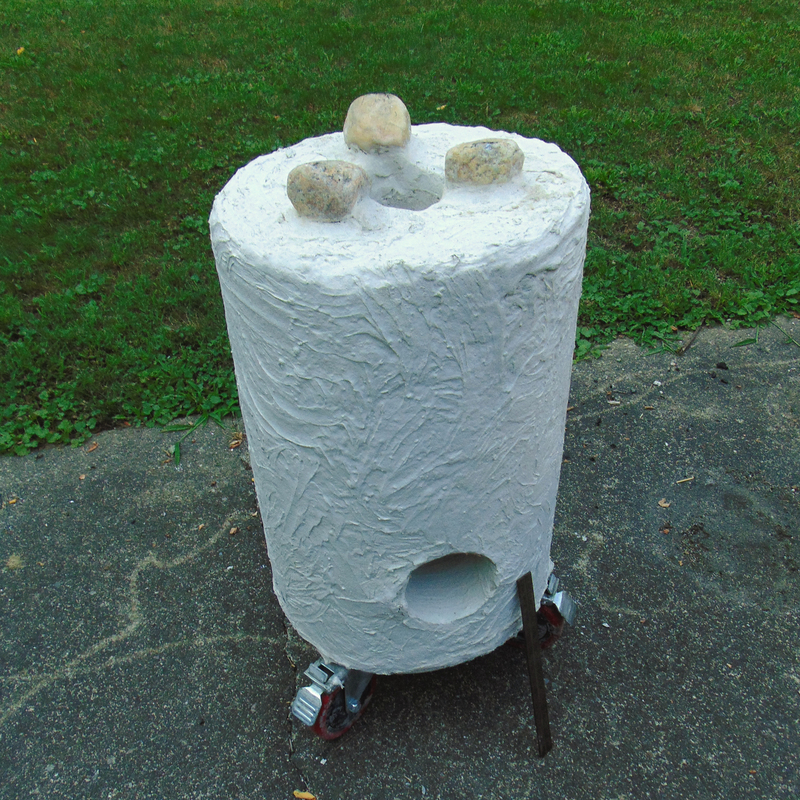 This “Big-Boy” is 2.5 times bigger than the original bare rocket stove. If you can see in this photo the ruler leaning on the stove, that gives you a reference for scale. What’s special about “Big-Boy”? Well, other than the massive size which allows for bigger draw and less bending over, it has wheels! Also, notice how the fist-size metamorphic rocks are secured on the top by mortar and they act as a pedastal for pots, pans, grates, kettles, and such.